. 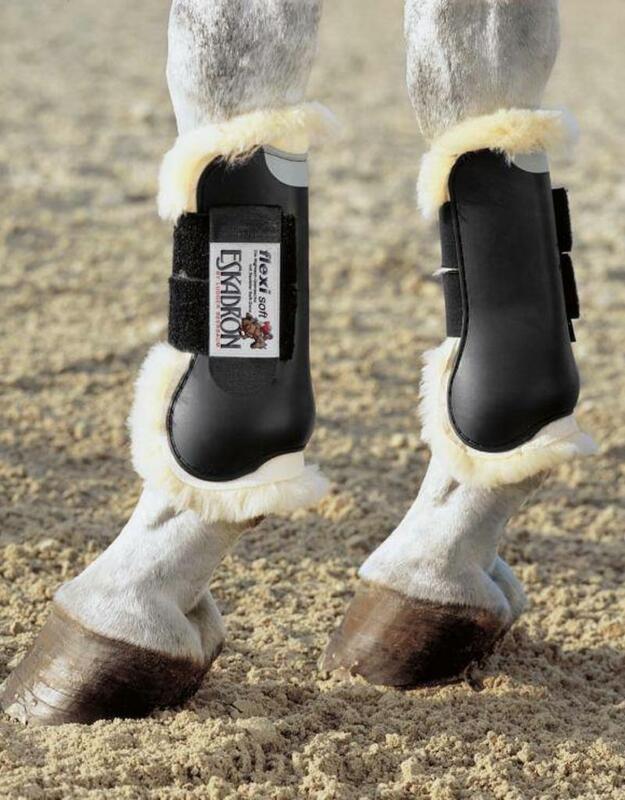 The protection boot made of TPE which is anatomically formed to fit the horses leg. With double hook and loop fastener fastening and sheepskin lining, especially for horses with sensitive skin. Protection against brushing and bruising. Regulates temperature and absorbs kicks.